Dr. Niklas Schrape is a Postdoctoral Researcher at the Centre for Digital Cultures at Leuphana University Lüneburg, Germany. He holds a double position at the Gamification Lab and the Institute for Advanced Study in Media Cultures of Computer Simulation (MECS). He studied Communications, Psychology and Sociology at the Freie Universität Berlin and Social and Economic Communications at the University of the Arts (UdK) in Berlin. He spent an abroad semester at the International Film School of Wales in Newport, UK. In 2011, Niklas finished his PhD thesis in Media Studies at Filmuniversität Babelsberg as a scholarship holder of the Friedrich Ebert Foundation. In 2012, he published his thesis about rhetoric in games at Campus Verlag. 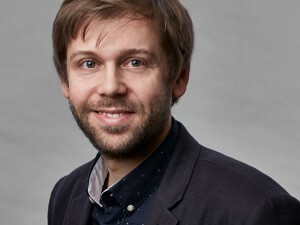 His current research interest encompass the relation between Foucaults concepts of governmentality and self-techonlogies and gamification as well as the role of games in popularizing scientific modeling and simulation techniques.